The National Finals Rodeo is set to take place in Las Vegas, Nevada from December 5th to December 14th. The competition is organized by the rodeos’ major North American governing body, Professional Rodeo Cowboys Association (also known as PRCA). The PRCA organizes the NFR as a championship event to award international titles among 120 contestants competing within several high-difficulty rodeo events. The contestants compete in various rodeo competitions across the United States for a chance to qualify for this event. Once a part of the event, the competitors typically strive to become a PRCA World All-Around Champion. Finding a place to watch the Wrangler NFR live stream online can be hard to find as it is not well advertised. The live stream will be shown on the CBS Sports Network app as well as Pro Rodeo TV. Both places will have great service and you will be able to watch all 10 straight nights of high flying action without any interruption. CBS Sports Network has the rights to this year’s NFR in Las Vegas. The network will be airing coverage of the event from December 5th to the 14t at 10 PM EST/ 7 PM EST on their network. This is great news as fans all across the United States can easily watch their favorite cowboys compete for World Championships and if they do not have the CBS Sports Network they can head down to their local bar to watch the action. CBS brings a great crew every single year and they will bring great coverage as well as interviews of your favorite cowboys. Steve Kenyon and Wade Wheatley will be hosting coverage of the 2019 Wrangler NFR this year on Sirius XM’s Rural Radio. They will be covering every single night of the rodeo and they will do an excellent job as they have done in years past. Randy Corley and Wayne Brooks will be announcing this year’s Wrangler NFR for ten nights in a row beginning December 5th. Corley and Brooks have announced the National Finals Rodeo for five straight years and they will make it six years this December. Roger Mooney will be joining the team for his first year and should be an exciting addition to the team. The payout for the 2019 National Finals Rodeo in Las Vegas is giving out $10 million dollars is prize money. Each contestant in the NFR is given $10,000 for qualifying so the amount that can be won during the competition is $8.8 million dollars. Each event has a payout of $1.1 million dollars which is why this is the biggest chance for competitors to take home a huge pot of money and increase their total winnings for the year. 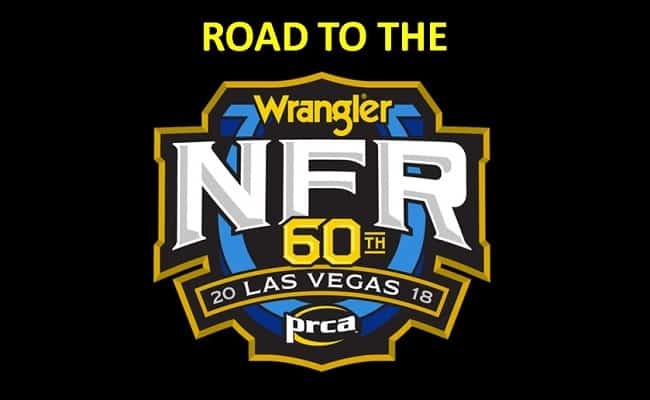 If you want to watch nfr highlights then Youtube nfr video and Roartube national finals rodeo highlights be available for fans to watch and enjoy. The Cowboy Christmas is held at every single Wrangler NFR at the Las Vegas Convention Center. The event showcases some of the best equipment and experiences that every cowboy would want. It runs from December 4th to the 14th from 9 AM to 5 PM and you can even meet your favorite rodeo competitors. Make sure that you make time for this amazing event and bring your wallet because you will want to buy everything. The Miss Rodeo America Pageant is one of the time-honored traditions at the Wrangler NFR. The pageant starts four days before the competition starts on December 2nd and runs until December 9th. The pageant finals take place on Sunday, December 9th from 10:30 AM to 12:30 PM at the Tropicana Las Vegas. Rodeo fans should check out the event as they will not have to miss any rodeo events to watch. The 2019 National Finals Rodeo is going to be an absolutely incredible event filled with fantastic rodeo events that every cowboy will enjoy. Las Vegas is the perfect venue for the Wrangler NFR as there is plenty to do and a lot to see while you are visiting. Which cowboy are you excited to see in December? Let us know in the comments!